Smoking Indoors Damages Your House As Well! As many of you will know, Stoptober begins on Wednesday… If you’re a smoker who would like to join the other 150,000+ people taking part then just head to https://stoptober.smokefree.nhs.uk/registration-c to register. Smoking indoors doesn’t only damage the insides of your body but also the insides of your house! A burning cigarette can lead to a house fire when left unattended. These fires can also be fatal for the smoker and anyone else in the house. It is estimated by the U.S. Fire Administration that nearly 1000 smokers and non-smokers are killed each year from fires caused by cigarettes. The smoke from cigarettes contain a range of chemicals, some of which build up on surfaces exposed to it. Smoking in your home can cause a build up, leaving walls stained and discoloured and wallpaper curled. If smoking indoors continues for long enough, the particles can become near impossible to remove. The smoke can also leave carpets, upholstery and other fabricated household items stained, discoloured and smelly. All of which are very difficult to remove. As well as clinging to walls and curtains etc, this smoke can cling to electronic components (especially computers) and cause major damage over time. With computers, the smoke clings to anything that emits heat. The heat already attracts a large amount of dust but when added with cigarette smoke it just magnifies. The dust and chemicals can work their way through your wall and coat the inside of your electrical outlets. Cigarette smoke can have immediate effects on both yourself and your house that can be noticed straight away but anyone else living in the house but over time, the smoke can embed itself in everything making somethings unrepairable. If you are a smoker living with a non-smoker, we urge you to consider the effects cigarette smoking in the home can have on both their health and comfort. Take part in Stoptober 2014 and help to repair not only your insides, but the insides of your home also! 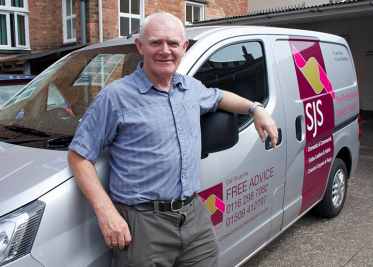 For carpet and upholstery cleaning, get in touch with SJS Leicester on 01162 987 082 now!